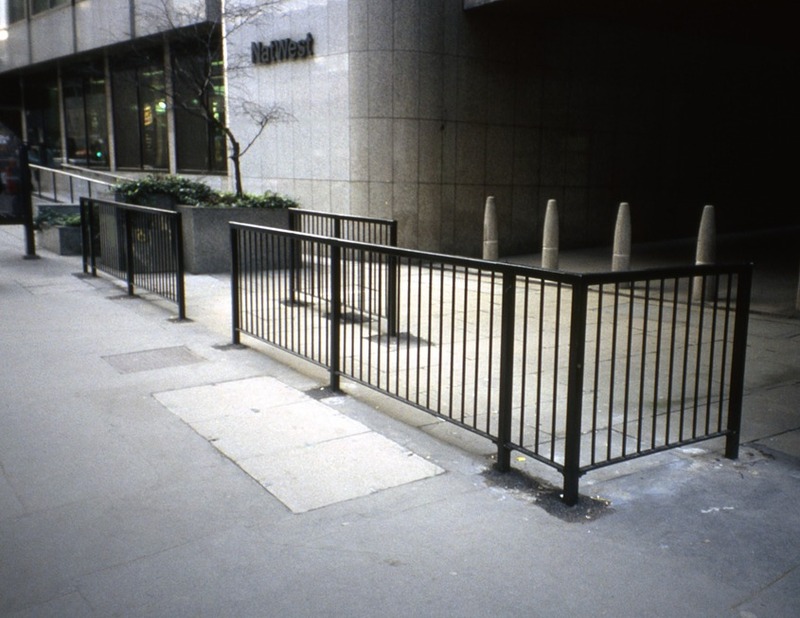 These barriers were part of the City of London's "Ring of Steel", a security cordon set up around London's financial district in the 1990s after a series of bombings by the IRA. The cordon consists of a variety of interventions into the streetscape at major thoroughfares into the designated protected area. These include street narrowing chicanes, bollards, gates, sentry boxes, and surveillance cameras. It was initially erected to protect the financial area but has since slowly grown in size. These railings have since become obsolete and have subsequently been removed as defensive designs are upgraded and buildings are reconfigured with more efficient defensive technologies and designs.